interchangeable solutions to meet your AODD pumping needs. including impellers, wear plates, shafts, and shaft sleeves. Our brands are us. 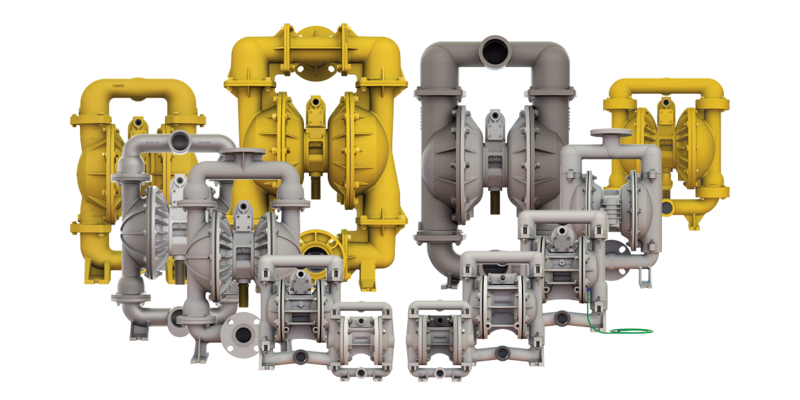 As a leading supplier for Allis Chalmers pumps and parts, Versa-Matic high quality air - operated diaphragm pumps and Wallace & Teirnan ( now USGI Chemfeed) we understand the complexities of fluid processing. We are a proud supplier to: Green Bay Packaging, Nestle-Purina, Verso Paper, Kimberly-Clark, Bemis. With over 30 years in the fluid processing applications and large scale project management BellyRiver's proven track record makes your purchase that much easier. Sign up for our newsletter. We only send it out periodically and it is definitely worth getting.